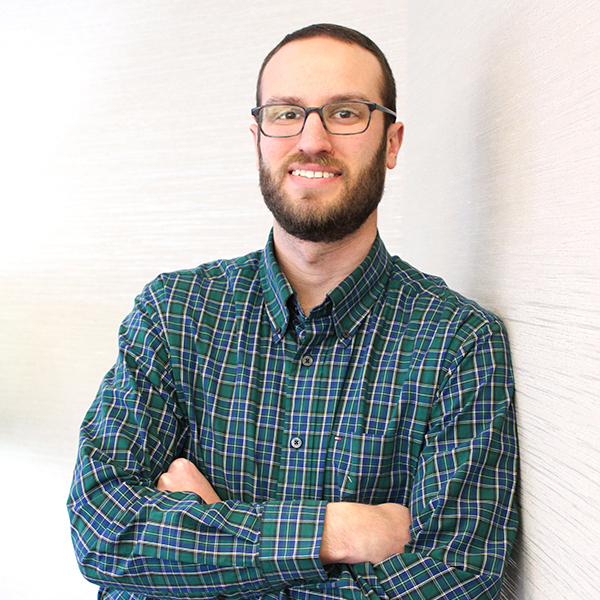 It is said in this industry that fewer and fewer young folks are getting into the engine building profession. While there are shades of truth in that statement, it would be very false to say NO young folks are learning the trade and opening engine shops. We’ve reported on a number of examples, and Marty Brown II is a case in point. Marty Brown II is the son of Marty Brown, owner of Marty Brown Race Engines in Glen Burnie, MD. 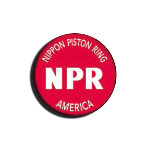 The shop opened in 1992, coincidentally the same year Marty Brown II was born. Twenty years later, Marty II was given the opportunity to run the front of the performance engine shop, which specializes in domestic performance engine work with a focus on GM, Chevy, LS and LT. For the past five years, Marty II has been running the shop himself with his dad and two other full-time employees helping with the machine work. 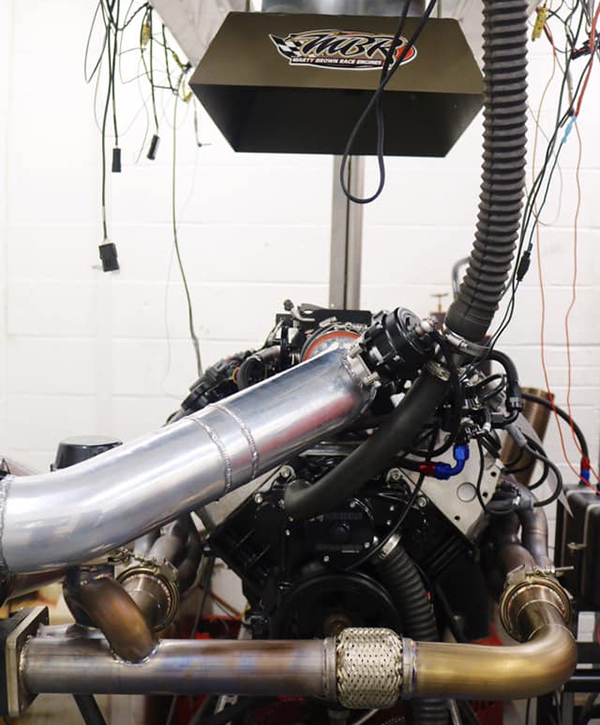 The shop recently installed a 3,000-hp dyno! Marty Brown Race Engines (MBRE)first began in a one-car garage, and has since expanded from a 1,200 sq.-ft. shop to a 4,000 sq.-ft. shop today. 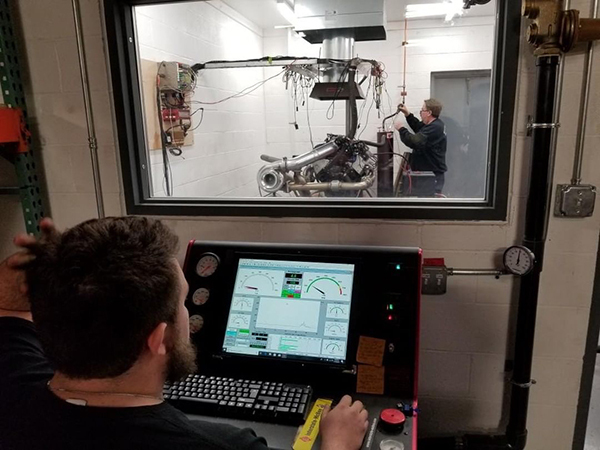 MBRE also updated several pieces of equipment recently, including installing a 3,000-hp dyno. As it is now, MBRE does all its machine work in-house with the exception of grinding cranks. 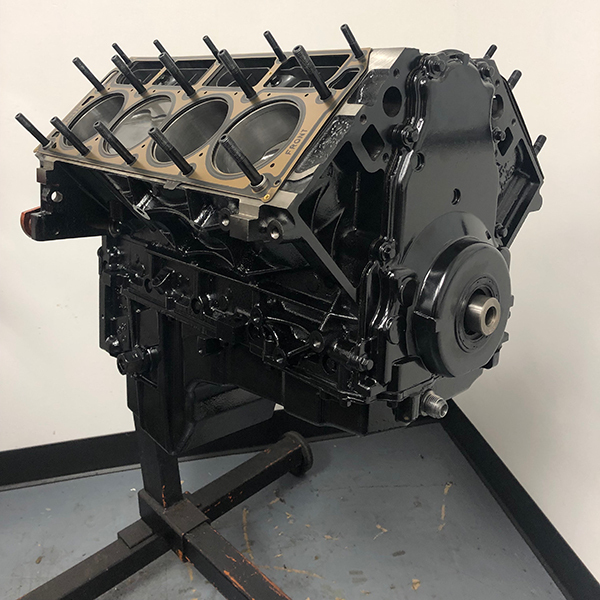 With a focus on GM performance work – big block Chevy, small block Chevy, LS and LT engines – the shop has been doing big horsepower, big blocks for a long time now. With that passion for the LS and LT market, MBRE recently built a 363 cid LS Stroker to show off during the shop’s open house. The engine will be a street/strip motor and serve as the shop’s dyno mule for testing various components. “This engine is based off of our basic, entry-level short block that we sell with a few modifications,” Brown II says. “We started with a new, OEM 5.3L block. We went ahead and installed ARP main studs. We line honed it to spec. We also bored and plate honed it. The block is a 3.800˝ bore. We also cleaned up the decks because sometimes the OEM block deck surfaces are atrocious. 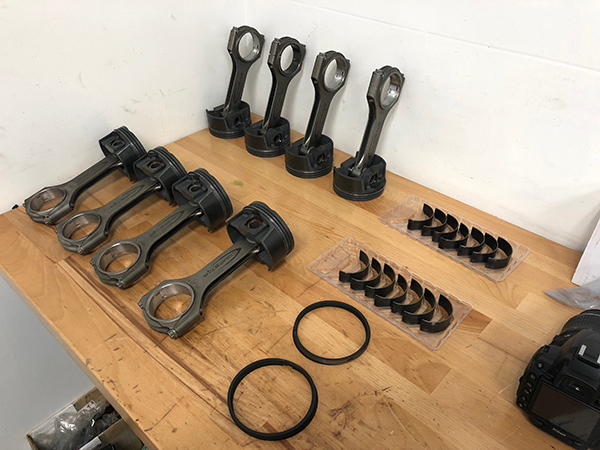 In addition, MBRE used a Callies crank and Compstar rods, a set of coated Mahle high compression pistons, Total Seal piston rings, Brian Tooley valve springs, and King coated bearings. 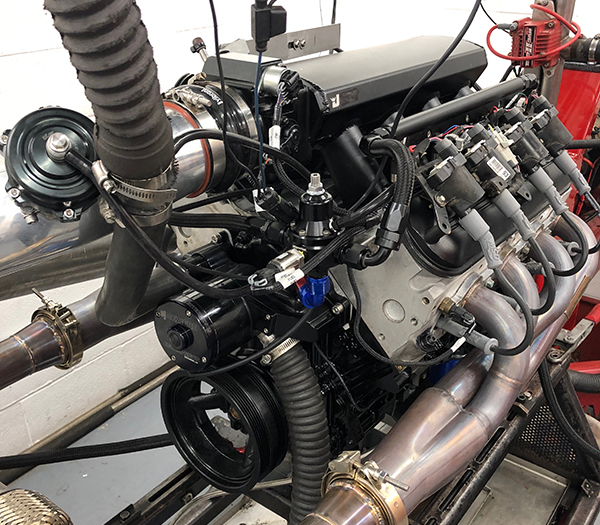 MBRE is running the 363 cid LS Stroker with a little bit higher compression – 11:1 – because it’s going to run on E85. The shop also added a Bullseye 76mm turbocharger off of another customer’s diesel truck they had laying around. “If that can’t get it done, we also have a 91mm turbo we can throw on it,” he says. The engine should crank out between 1,000 hp and 1,200 hp, according to Brown II. It’s also the first turbo set up that will be run on the shop’s new dyno system. 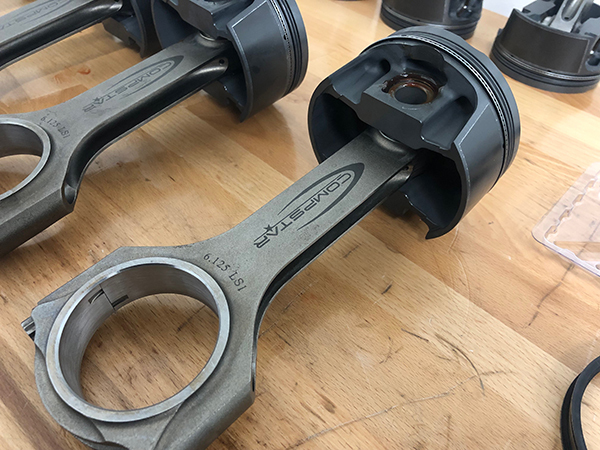 “We’ve been doing these kinds of builds for a little while now, so we have it down to a science in terms of what works and what doesn’t work, what bearing clearances we want, what piston-to-wall we want, what ring gaps we want – we know the stuff that works,” he says. As mentioned earlier, this 363 cid LS Stroker is going to be a street/strip engine, but first the shop plans to use it as a dyno mule for testing. For now, the 363 LS Stroker impressed at the shop’s recent open house, and with around 1,200 hp on tap, we can understand why!